Worried about aging? If so you aren’t alone. Aging is one of the top concerns of many women as it’s something that we know is happening and can’t prevent. That said, while you can’t prevent the hands of time ticking away, you most definitely can prevent some of the side effects that commonly occur as one ages. There are a number of ways that you can seemingly reverse the aging process through your diet and lifestyle choices. Let’s have a quick look at what you can do to slow that aging process so you feel great about the way you look moving into your later years. Your biological age is basically an age that is determined by many different aspects aside from just the amount of years you have been actually alive. It factors your diet, living environment, outlook on life etc. Contrast this with your chronological age, which refers to how many years have passed by since you were born. The little things that you do on a daily basis will have a very large influence on what your biological age is, so even if you’re 40 right now, you could in fact have a biological age of 25 if you were doing everything right with your fitness, diet, and lifestyle. By making smart choices on a daily basis, you can reduce your biological age as you improve the overall health of your body. If you want to make the most of your biological age, getting in enough antioxidants will be vital. Antioxidants are key to reversing the aging process because they will help to protect your body against free radicals, which are substances that you come into contact with that bring about disease, wrinkles, and fine lines. Those who have a high exposure to free radicals on a daily basis will show much faster signs of aging – so fast that it could speed up their biological age. One of the best ways to get in more antioxidants is through your diet. Eating plenty of fresh fruits and vegetables, especially those that are rich in color is one of the top ways to boost your intake as these are loaded with good nutrients for you. 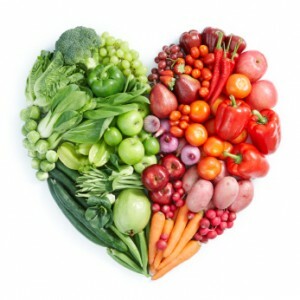 Some of the common nutrients that act as antioxidants in the body include selenium, found in fish, red meat, grains, eggs, chicken, and garlic, vitamin C, which is found in citrus fruits, peppers, green veggies, strawberries, and tomatoes, vitamin E, found in whole grains, veggies, and seeds, vitamin A and the carotenoids, which are found in broccoli, carrots, sweet potatoes, and cantaloupes, as well as Lycopene, which is found in tomatoes, watermelons, and grapefruits. You’ll also take in flavonoids whenever you consume soy, red wine, cranberries, as well as pomegranate. Together these help support a healthy biological age and also provide other vital nutrients essential for life. In addition to eating well, also make sure you take steps to reduce the aging process by getting enough sleep at night, drinking water, avoiding smoking and alcohol, as well as getting regular physical activity. All of these will help promote a healthier mind and body and get you looking your absolute best. So don’t fear aging any longer. Learn exactly what you can do to fight the process and you’ll look forward to the coming years. 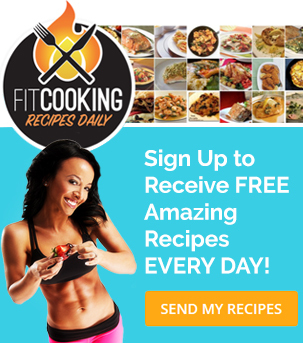 Buy Metabolic Cooking, and Adam and Ryan’s Shapeshifter program! Hi Jay, Alex gave you some good pointers. 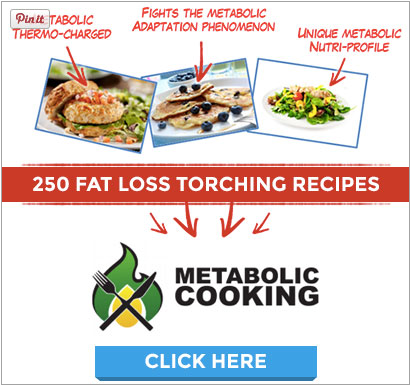 Metabolic Cooking can definitely help you on the nutrition side. We also strongly recommend Adam and Ryan’s program, it’s awesome for a fit lifestyle. How can I calculate my biological age? Hi Alta, I don’t think there is a scientific calculations for that… I defers for each individuals. Would like to know if metabolic age is similar to biological age? Thanks, appreciate your feedback! My biggest concern regarding aging is losing my abilities; my abilities to crush a softball, dead lift 400lbs, run a 6 minute mile, etc. I don’t want to be someone who is stuck on a couch or in a chair all day because my body doesn’t work anymore. I have been focusing on eating healthy and training consistently for many years now and hope that it will indeed pay dividends later in life. I can definitely feel the benefits in the here and now, and if that was all I get out of my efforts, I suppose it is still worth it. Either way, I still worry about what life will be like for me 30 or 40 years from now and plan on doing everything within my power to make sure that I age gracefully. I’m convinced that a healthy lifestyle can keep you young for a very long time. Thanks for sharing Craig! I agree with you, Karine. A few months ago, I cleaned up my eating habits and started hitting the gym five nights a week. I weighed over 250. I cut out all junk food, fast food, fried foods, chips, and most of my sugar. I started cooking my own meals and eating a lot of fruit and veggies. I now eat very little food that I do not cook myself! In a little less than four months, I got down to 158… that’s right almost 100 pounds! that was three months ago. I have worked on muscle building and have gained a little mass, so I stay about 165 now, no problem. I have it down to a science, and I can dial the weight up and down a few pounds at will. I look, and FEEL better than I have in more than 30 years. How old am I? I will be 58 in May. I am no spring chicken. I still have issues with arthritis, but exercise actually makes me feel a little better, not worse. I QUIT taking my blood pressure medicine. It was about 165/95, eight months ago, now it reads about 123/65 when I get up in the morning. Food is VERY important, along with proper exercise. I am living proof. People at work are amazed at what I have done, and I am here to tell you, that if you put some effort into it, you can do it too. Yes, it is hard work. But nothing worth having ever comes easy, and boy does it make you feel GOOD! Also, for advanced nutrition info, check out Brad Pilon’s report, Eat Stop Eat. Amazing! Wow Tj! Amazing! 🙂 You are right this is hard work but all worth it. Kudos to you for deciding to change your life, very inspiring! Thanks so much for sharing!! One good way to stop the aging process is don’t look at it as a negative . Its a positive to get old. Who wants to die young.